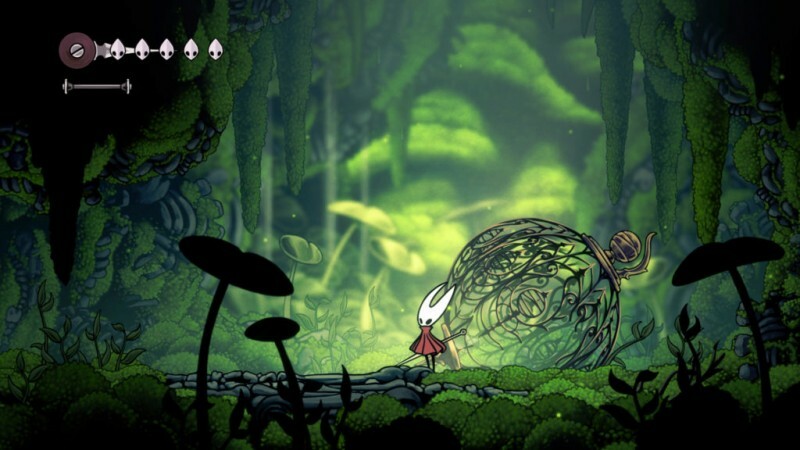 While Hollow Knight got loads of free DLC, Team Cherry had been working throughout development on a larger expansion of paid DLC starring Hollow Knight's Hornet. A few days ago, the developers indicated there would be news on the DLC expansion on Valentine's Day, which most assumed to be a release date or new trailer. Instead, Team Cherry announced that the DLC has expanded massively in scope and will instead be a full blown sequel to Hollow Knight. Dubbed Hollow Knight: Silksong, the new game features a new world, 150 new enemies, a new town, new bosses, and new quests. You can check out the trailer for the game below. Two of Team Cherry's three developers talk in this video about the decision to expand the game. From the trailer, while it seems to be fairly close to Hollow Knight's style, Hornet definitely plays differently and seems to retain a lot of powers from the original game. Backers for the first game were promised to get the DLC for free, so Team Cherry is simply giving them Silksong for free instead. In addition, they confirmed that Hollow Knight has sold 2.8 million copes so far, making the game an unqualified indie success. You read all about the making of the first Hollow Knight here and also check out our review of the game right here. Hollow Knight: Silksong will be released on PC and Switch with the possibility of further platforms down the line.